I've been blogging for almost 7 and a half years. 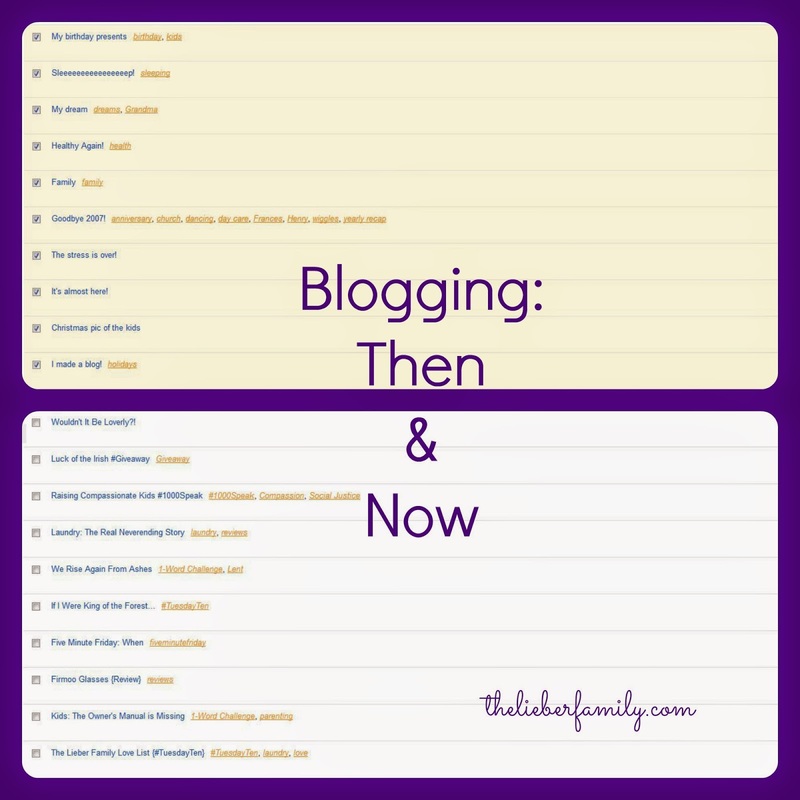 Where and how I started are very different from where and how I blog now, but the "why" has stayed pretty consistent. I started out because I thought I had something to say that people might want to hear. At the time, my mom was my target audience. I got tired of trying to upload so many pictures to email her every day. And sometimes I just didn't have time to verbally tell her the stories of her grandchildren, so I started writing them down. My audience has since expanded. There are people I've never met who come by for a read. Some of them comment every day, some of them never say a thing. There are lots of people in between those two extremes. When I started I had no interest in Facebook, Twitter, or Pinterest. Today I have account on all three that get used for varying amounts of time. In looking back I see that it took me three months to write ten posts. 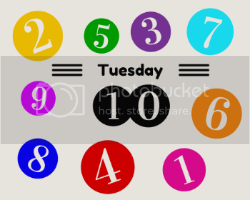 Today ten posts usually takes about two weeks. Those first ten posts only had a handful of views, probably mostly from me on different computers and from my parents and brothers. Comments were unheard of. For #TuesdayTen today, we're looking back at our first ten blog posts. From way back when we had little baby blogs and (some of us) had no idea what we were doing. There is a lot of back and forth in the blogging world about whether you should delete old posts from your blog. That's a decision that every blogger has to make for him/herself, but I live squarely in the camp of "no." My old posts are an early form of diary entries for me. I re-read them and I can remember where we were and what we were doing at times in the distant past. My old posts are a part of me and I will not get rid of them. The very first one is creatively named "I made a blog!" If you need things spelled out, it's about me...making a blog! The second, also creatively named post, is "Christmas pic of the kids" It obviously contains a Christmas photo of my two (at the time) children. It was posted less than 30 minutes after the first one. Apparently I didn't know how to edit! Next came a Christmas Eve post about our plans to go Mass on Christmas Eve and then wrap presents. This is riveting stuff, y'all! I took a breather from all that hard-core blogging and then two days after Christmas I posted about being free from stress after the big holiday was over. Honestly, I still feel that way. The best part of the Christmas season is after we've opened presents and can just enjoy the season for what it is. 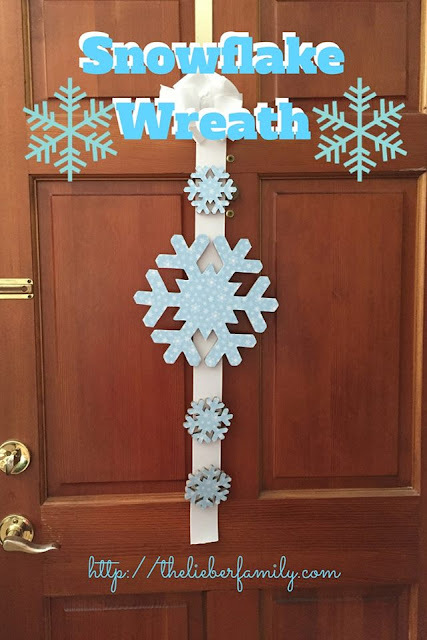 I think my fifth post was the first one where I took an idea from another blog I had seen and posted a recap of our year. "Goodbye 2007" is poorly formatted and lacking pictures, but it does have a pretty good summary of what happened to our family that year. If I remember correctly, the next post was something I backdated, so it shouldn't really fall here, but I'll mention it anyway. I think my brother had mentioned something about me always talking about my kids, my mom and dad, Ken, etc. and never mentioning him. So I posted this one to prove that I had, indeed mentioned him! I have two other posts I've backdated. Mostly because I wanted a place to publish and share something online without it showing up at the top of my blog. Next I posted a TMI post about everyone in the house being sick. This is one instance where I'm glad I didn't have any pictures posted! In early March of 2008, I posted about a dream I had had the night before. This one post comes to mind often, even today. I love going back to re-read it and feel the sensations it evokes. A brief, one paragraph note about my grandmother that holds such good memories. To round out the list of my first ten blog posts, are two posts about sleep. It seems that even back then I had a real love/love relationship with sleep! First I posted about how glorious it feels to sleep through the night. Then a week later, I posted essentially the same thing! One of my very first blog headers! At this point, I'm hoping my regular readers will see how much I've grown as a blogger since those early days. I can't imagine anyone (except my mom) getting hooked on posts like those and sticking around. But it's still a part of my history and the history of my family, so they'll stay there. Just for fun, leave a link to your first blog post in the comments. Or make a list of ten and link it up here! That's an excellent idea back dating so it won't be "on top". For a minute I had a journal blog. Note very many posts - none commented on. At the time I didn't want them read as freshly as I was writing them but it would be cool now to change to links an merge them in there. Thanks for that idea. On my way to the dream post. I tested out the back linking thing. Unfortunately it would still show up as new in the RSS going out to subscribers. Oh well. phooey. I'm not sure how it works on other platforms, but mine doesn't alert anyone when I republish it. I just leave it there and change it around when I need to. The title has nothing to do with what it is currently about. Seven and a half years, that is awesome! Some of my first blog posts were equally riveting. I like to look at them as I like the process I have gone through as a blogger over the last several years. The picture of your kids in front of the tree is adorable. The baby's expression is priceless! You have been a marathon blogger!!! Isn't it amazing how much we grow as writers through all this time? I cringe, when I read my old posts. Oy. But it's a testimony to how far we have come, isn't it? Keep going girl!! I love it. I'm sort-of-embarrassed but sort-of-not when I think back to my first few blog posts. I was trying to find 'my voice' (have I found it now? not sure) and I realize that I was just using other bloggers' voices. And yes, I think our mothers as first viewers is a common factor among bloggers! Things certainly have changed! Even in the 2 years that I have been blogging! I think my first posts were similarly titled! 7 years? Wow, you're practically a blogging grandma! When I started A Cookie Before Dinner, I had already started, wrote on, and abandoned like 4 other blogs! I've been blogging nearly five years and I do want to do something big, but I'm not sure what. I have like two weeks to figure it out! I love looking back at this. You're an expert! I love it when something really old from my archives pops up as a 'related' post. It's such a nice flashback for me. My old posts are the best diary I've ever kept. There's no way I could delete them. About the stats, I never want to ask either, but I figured I'd just put it out there and be okay with it. The old pictures crack me up sometimes. Plus I didn't have a very good camera then, either! They were almost always grainy and out of focus! My mom still reads my blog regularly, but now she's on facebook so I can show her pictures better. Thanks Chris! I only got serious about it two or three years ago and that's when I started really trying to connect and promote. It's been a great outlet for me and I have such fun doing it! Even now sleep is a common theme here. Sleep and laundry! I'm an exciting lady!! You came off the starting blocks with force, lady! Linkups are a great way to meet new people and get connected. That's probably how I got my first few readers that weren't family. Who are you callin' grandma!?! LOL!! I used to keep a paper diary, but they all have four entries and then they get abandoned. I actually surprised myself by sticking with this. Five years is a big anniversary! It takes a lot to make it that far. I saw your first post! It's so you!! But I'm way too scared to go back and look at my first ten posts. That was way back in 2005 (May will be my 10 year blogging anniversary!) and I'm sure those first posts are ROUGH to say the least. LOL. Mine aren't much to brag about, but they are part of our family history so they are still special to me. I might have to go dig through your archives now!! LOL! My original thoughts on this topic were much different from how it turned out. I was wondering if anyone would even be interested in my first ten posts, but as I wrote I realized I didn't care. This post was one for me!